Find the best Stray Travel trips. 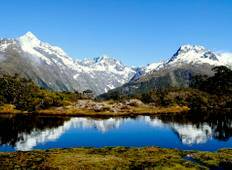 From New Zealand to New Zealand, TourRadar offers 43 tours through 1 countries from Stray Travel. The tours span across 2 day to 31 day itinerary with prices ranging between $33 to $170 per day. "This was the first big travel I've done on my own and I'm really glad I booked the..."
"I had an amazing trip with Stray. The bus driver Motors was absolutely fantastic..."
"I had an amazing time as a solo traveller and met lots of lovely people. The bus..."
"Really good experience ! Really nice drivers, who know everything about their country...."
"I was stressed out with planning my own trip to New Zealand and when I found out..."
"I really enjoyed my travelling around NZ. Stray is easy to handle and I liked the..."
"Great experience! It was nice to travel with the same group of people over more than..."
"My stray experience was amazing.Loved every minute of it! 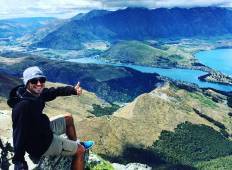 Met amazing people from..."
"I had a great time on my 7-day Tom Pass of the North Island. Romeoo was an excellent..."
"I found the tour to be great, good bunch of people that I met and helpful information..."
"Stray Bus Experience I feel so glad that I booked and joined Stray Travel Bus for..."
"A great tour to see New Zealand and to meet people especially if you are travelling..."
"I got the northern trip from Stray. I like Stray is mainly because they choose the..."